Australia’s finally done it! A new NDEVR Environmental analysis shows Australia has never been emitting more greenhouse gas when unreliable estimates for land use-related emissions are excluded, the Guardian reported on Sunday. 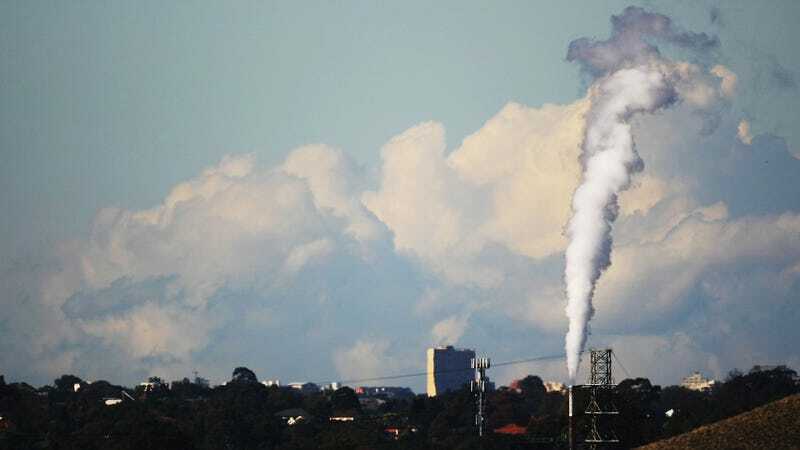 Over the past year, Australia released an estimated 138.78 metric tons of carbon dioxide equivalent in greenhouse gases. The last quarter measured was the second highest since 2011, even though Australia has invested heavily in wind power plants in the intermediary years. Per the Guardian, Australia’s government is six months late on its own report analyzing exactly how much greenhouse gas the country is sending out into the atmosphere; the NDEVR report attempted to mirror the official methodology. The results show that Australia is failing to make progress on targets set during the 2016 Paris Agreement, let alone the far more ambitious targets recommended by environmental experts. “If you don’t foster renewable energy, it’s only going to get worse,” NDEVR founder Matt Drum told the paper. One possible explanation is the Australian Senate’s decision to repeal its carbon tax in 2014, driven by the business-friendly center-right Liberal-National coalition. Australia remains one of the worst polluters per capita among countries in its class. As the Sydney Morning Herald recently wrote, Australian politics is rife with the same sort of climate denialism that has become common in the U.S.—where the current administration is skeptical of the federal government’s own alarming research into global warming. Australia has also seen significant resistance to implementing policies that might bring down its emissions totals, driven in large part by its extensive energy industry.